Happy 2019 to all our friends and subscribers! Welcome to the January 2019 edition of the Curious Tea subscription. 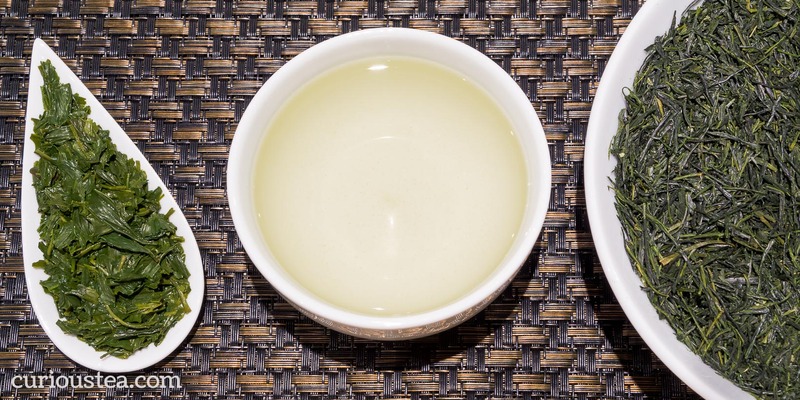 Let’s take a look at the four new teas we’re sharing with our subscribers this month. The first light tea this month is a lovely Roasted Sencha green tea from Japan that has a satisfying toasty and savoury character. 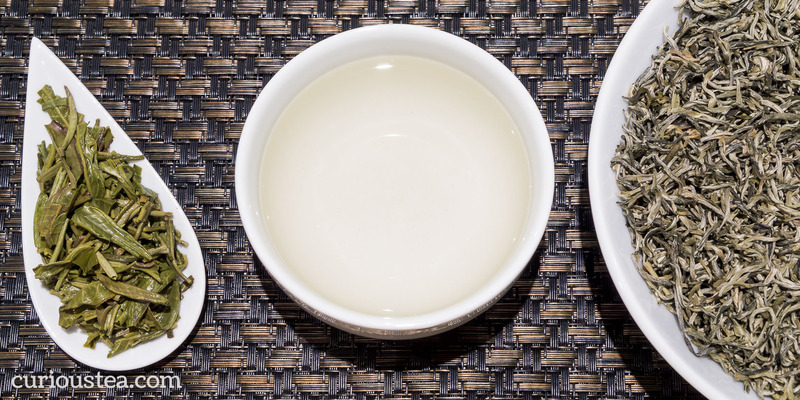 The next light tea is a complex white tea from Fujian Province in China, a very fine Xue Ya Snow Bud. For the dark side of the selection we have a unique ‘Assamica’ Taiwanese black tea grown in Yuchi, on the shores of the famous Sun Moon Lake. Finally, the last tea we are featuring this month is a highly oxidised Four Seasons ‘Red’ Oolong from Taiwan that has a captivating character with tangy, fruity flavours. Mixed: Makinohara Roasted Sencha and Yuchi Assamica. Let’s get into further detail on the products featured in our January tea subscription boxes. You can also buy Makinohara Roasted Sencha green tea in our online shop. You can also buy Xue Ya Snow Bud white tea in our online shop. Yuchi Assamica (魚池鄉阿薩姆) is a wonderful showcase of the complex and unusual black teas that are produced in Taiwan. This black tea is crafted from a TRES #8 Assamica cultivar that is grown at an altitude of around 700m in Yuchi Township, located on the edge of the picturesque Sun Moon Lake (日月潭) in central Taiwan. It was hand picked in April 2018 and is sourced by us from the grower via our Taiwanese tea master. This Yuchi Assamica is made from the TRES #8 cultivar that is also known as the Assamica tea plant in Taiwan. This particular cultivar was registered by the Taiwan Tea Research and Extension Station (TRES) in 1973. It was selected from camellia sinensis var. assamica plants that were originally brought from Assam in India. The story of the arrival of these plants goes back to the Japanese colonisation of Taiwan. 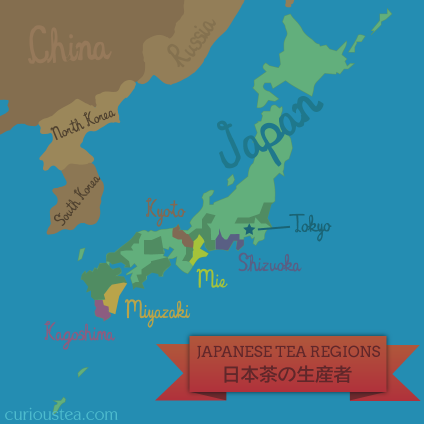 During the Japanese rule of Taiwan (1895-1945) the Japanese established the first Tea Research Institute in Taiwan with a view to create a black tea industry to rival the black tea exports of the British Empire. In the 1920’s, the first camellia sinensis var. assamica tea plants were introduced from Assam in India and planted around the Sun Moon Lake area as this was judged to have the perfect growing conditions. 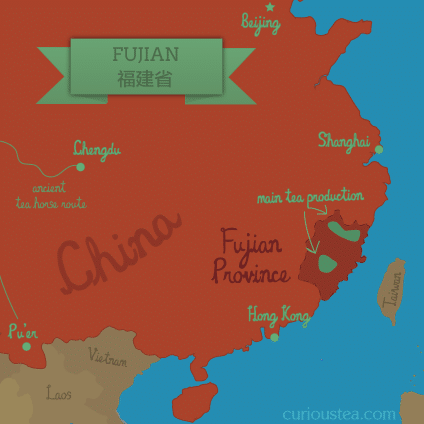 The production quickly took off and Taiwan was producing black tea on a large scale until the end of the Japanese rule at the end of World War II. After World War II the production of black tea declined significantly as it became too costly and unprofitable for the farmers. Taiwan Tea Research and Extension Station undertakes significant research and selection procedures for Taiwanese tea cultivars and started building up a catalogue of standardised cultivars, the first of which were registered in 1969. Some of the descendant plants of the camellia sinensis var. assamica plants originally introduced by the Japanese were selected and recognised as the new TRES #8 cultivar. In a nod to the origins of this tea, this cultivar is still known as the Assamica cultivar in Taiwan. 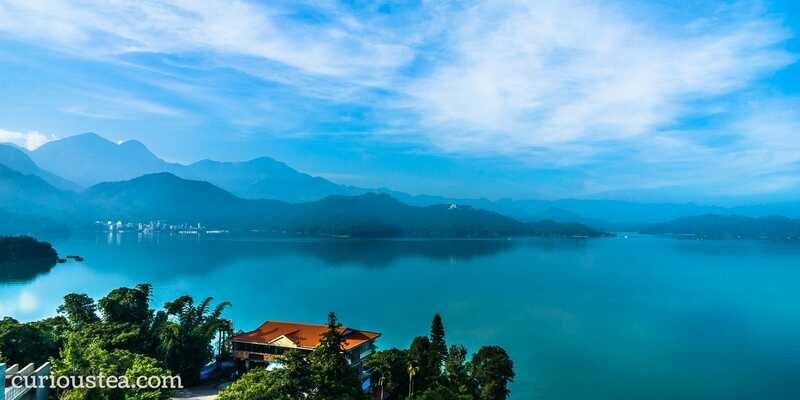 Sun Moon Lake is still the epicentre of black tea production in Taiwan. Our Yuchi Wild Shan Cha and Yuchi Red Jade (TRES #18) are the other examples of the very fine black teas of this terroir. This Yuchi Assamica has very large twisted leaves that have a savoury aroma. The liquor produced has a rich amber colour with good clarity and a sweet-savoury, fruity and vegetal fragrance. The produced flavours are complex and multi-layered. The taste, much like the aroma, is sweet, yet savoury. It has a soup-like thickness of flavour, reminiscent of the taste of a vine tomato soup. There are lightly mineral, malty and herbaceous notes. 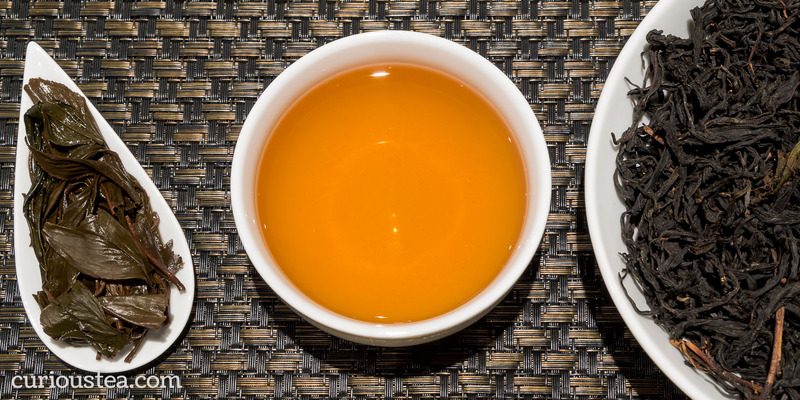 The overall flavours are clean yet complex, signifying a tea of great quality. The aftertaste has a nice mineral and savoury touch with a hint of assam-like astringency that serves as a gentle reminder of the origins of this cultivar. We suggest brewing at 90°C for 2-3 minutes according to your taste. It should be brewed multiple times as each infusion brings out new exciting flavours! You can also buy Yuchi Assamica black tea in our online shop. 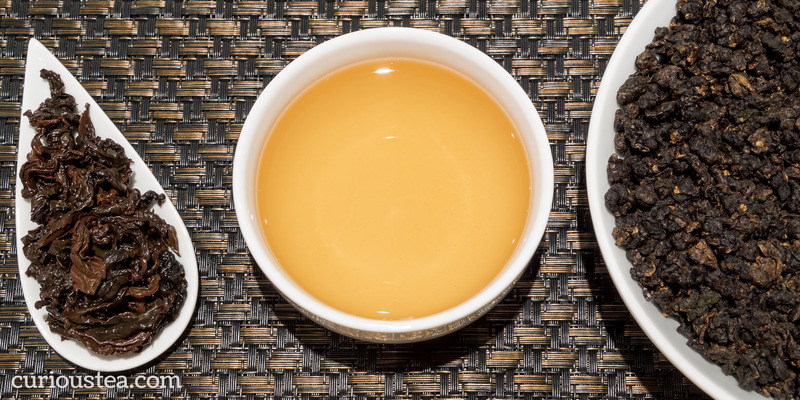 This Taiwanese Four Seasons Red Oolong tea is best brewed at 90°C for 3-4 minutes according to your taste and can be brewed multiple times, increasing steeping time with each next brew if desired. You can also buy Four Seasons Red Oolong tea in our online shop. We really do hope that you enjoy the tea selection for January and are looking forward to the next selection in our February box!